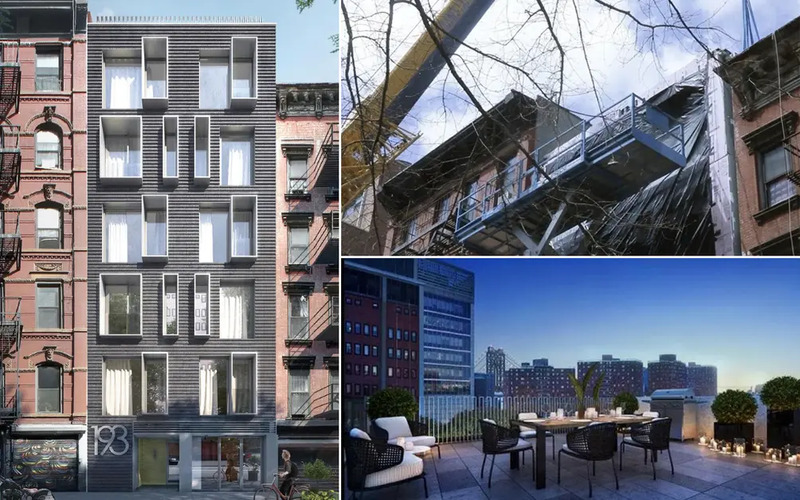 A new modular condo building on the Lower East Side has been fully stacked over the course of six days. 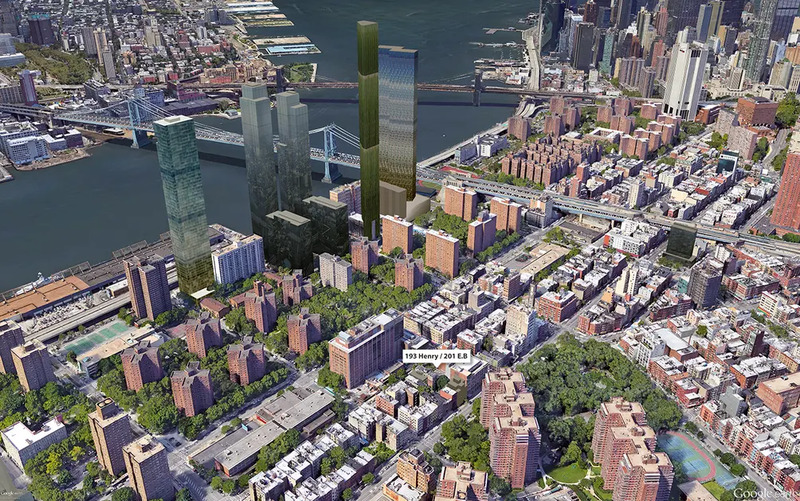 The ground-up project rises at 193 Henry Street between Clinton and Jefferson street, just south of the Essex Crossing master plan and several blocks from East River waterfront. Designed by Brooklyn-based Think! Architecture and Design, the seven-story structure was stacked in just six days, according to the firm’s Instagram feed. 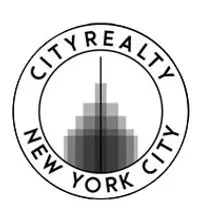 The neighborhood blog, the Lo-Down, first reported installation beginning in early April, an enormous crane was used to lift the rectangular units in place. 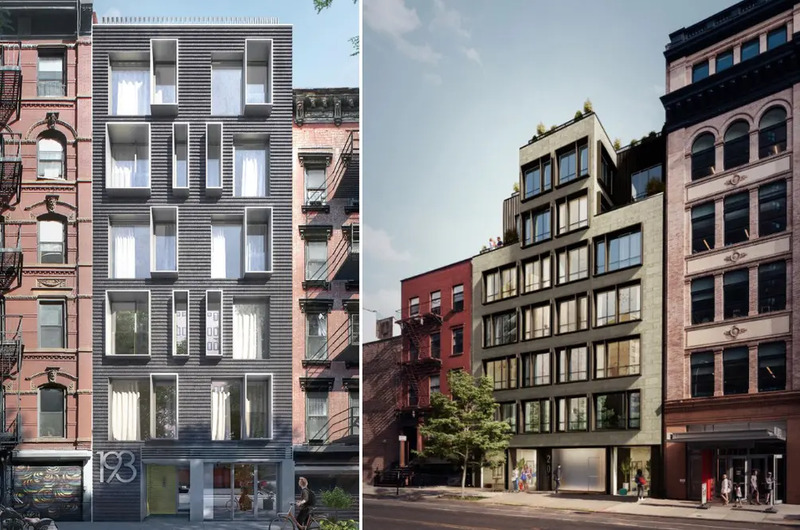 The condo is being developed in conjunction with 201 East Broadway — a ten-unit building to rise directly behind the site that will also be modular. 193 Henry Street is being developed by Daniel Wise who snapped up the 25-foot-wide parcel in 2015 for $4.15 million. The Attorney General’s offering plan shows the building’s five units plus commercial space will have a total sellout of $14.45 million. Sales are expected to begin later this year and Brown Harris Stevens Development Marketing will be handling the sales and marketing. The project replaces a characterful red-brick walk-up that once held The Mount Zion Church of Christ. Its sister building at 201 East Broadway was purchased for $8.5 million in August 2015 and replaces the former headquarters of United Hebrew Community of New York.